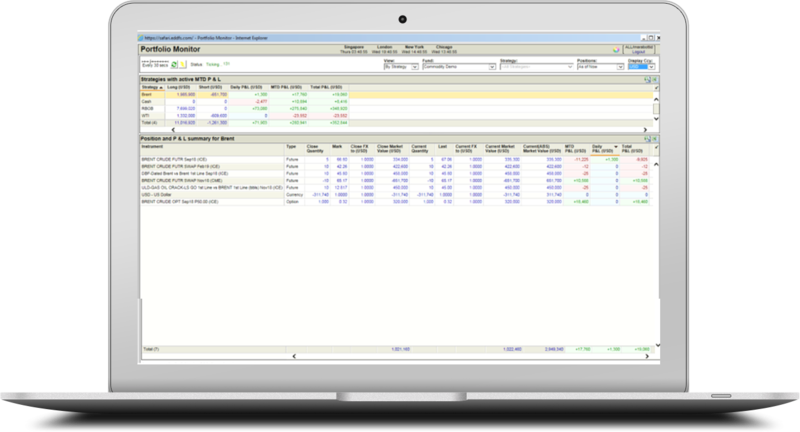 Integrate your trading, data processing and analytics in a single front to back package that grows with your business. Our systems and processes have been audited to meet the SOC 1 Type I (System and Organization Controls) standard. The examination was conducted in accordance with attestation standards established by the American Institute of Certified Public Accountants and International Standard on Assurance Engagements 3402, Assurance reports on Controls at a Service Organization, issued by the International Auditing and Assurance Standards Board.